I have another announcement regarding yet another new and exciting outdoor activity in and near Palmetto Bay. This is another tri-city collaboration in Miami-Dade County District 8. As many of you know, I have been working on bringing new and exciting activities to Palmetto Bay. We have a great Get Fit Palmetto Bay program that included the Mayor's Fitness Challenge. We started slow. We have stood, walked, and biked. We are ready to run! Baptist Health has agreed to be our sponsor. We are collaborating with our sister cities Pinecrest and Cutler Bay. We are looking forward to the launching of the Baptist Health Old Cutler Run Club that we have been working on for the past few months. The kick-off event is taking place on Sunday, September 11, at 4:00 pm at Deering Estates. Getting the word out is critical to the success of the event and Run Club. Please put this date on your calendar to attend and help kick off this event. All are welcome to run! My goal? 5K season is coming up with the cooler weather. I am getting ready and especially looking toward this upcoming Turkey Trot on Thanksgiving Day. 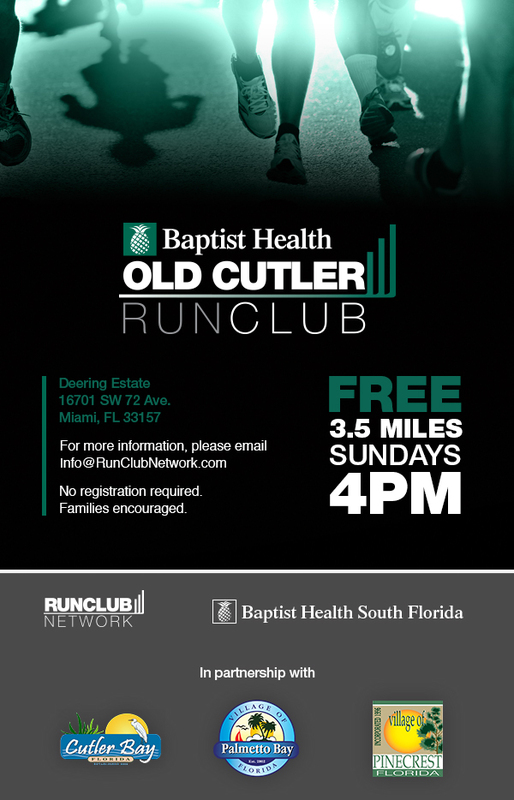 There is an official Baptist Health Old Cutler Run Club Facebook page set up to share information. CLICK HERE to reach this page. Again, this will be a great club for all levels from new to experienced, social to competitor. Please join me. This will be a great place to meet up with all those who #WeRunOldCutler, who want to get started and are looking for collaborating on better ways to run smarter, not harder. We are in. Thank you.